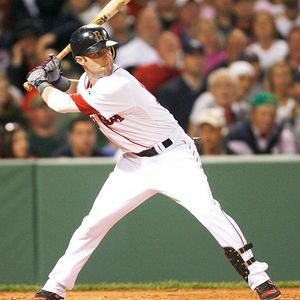 This week’s Dustin Pedroia video post will look at this fighting against the resistance concept. I’ll show you how fix stepping in the bucket using a little known human movement science technique called Reactive Neuromuscular Training (or RNT). The #1 fix to stepping out. Takes away outer plate coverage. Stepping Out as a Legit Hitting Strategy? 2nd-baseman Dustin Pedroia from the Boston Red Sox. According to Baseball-Reference.com he’s 5 foot, 8 inches tall. 165-pounds, soaking wet. In a 162-game average season, Dustin Pedroia hits 15 homers and 45 doubles per season. His Batting Average on Balls In Play (BABIP – .307) and On-Base Plus Slugging% (OPS – .810) are above average. Imagine what Dustin Pedroia could do if he was 6-foot, 200-pounds! His home ballpark is Fenway, where it’s 315 feet down the left-field line. Very advantageous to a right handed hitter. How does stepping in the bucket work for him? As a result of #3, he can hit the ball to the opposite field like Derek Jeter. At landing we want alignment with the heels.